Erin Priest was born in Lincoln, Nebraska and is still a Cornhusker at heart. She graduated from Doane College in 2003 with a double major in Criminal Justice and Spanish. While at Doane, she worked as an interpreter for the state prison’s Spanish speaking inmates. After college, Erin worked as a paralegal while she studied and saved for law school. Erin graduated from Florida Coastal School of Law in 2008, where she was a member of Law Review and a teaching assistant. After law school, Erin worked as a public defender for criminal and dependency cases. She also worked as the defense attorney in Clark County District Court’s Mental Health Court. 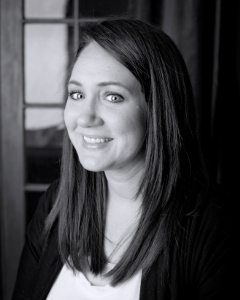 Erin now concentrates her legal practice on family law, criminal defense, and guardianships. She understands that her clients are experiencing difficult times in their lives, and listens to their specific circumstances to formulate the best approach to meet the client’s goals. Erin has years of court room and trial experience, and gives pragmatic advice to achieve both the client’s immediate and future needs. Erin has served as the Treasurer of the Clark County Bar Association Family Law Section, as well as the Treasurer of the George and Donald Simpson American Inn of Court. She is well respected in the legal community and strives to have healthy working relationships with her colleagues. In her free time, Erin enjoys spending time with her family, attending concerts, and baking treats that expand the waistline of friends and family alike.